There is a huge variety of high bar stools in many shapes and styles at our online store. If you are seeking some modern attractive designs for your home, then come and view our Brisbane showroom that is fully stocked with a large array of metal stools, drinking bar height stools and commercial bar stools. When selecting the right bar stool, it is important that you have measured the bench height that the stools will go under. A drinking bar height stool is normally 75 cm in height, and would suit a bench that is around 110 cm to the top. This allows the user ample space to sit comfortably under the bench, whilst ensuring a suitable posture for eating and drinking. A back rest will provide comfort to your users also, but will take up space visually in your commercial premises. If you are going to place bar stools en mass in your Melbourne restaurant, then we would recommend a high bar stool with a wire back or one that does not have a solid back rest. This will ensure there is a flow within the room in which they are placed. We would not recommend a swivel bar stool with a back rest, as this will lead to damage around your bar table and age it prematurely. 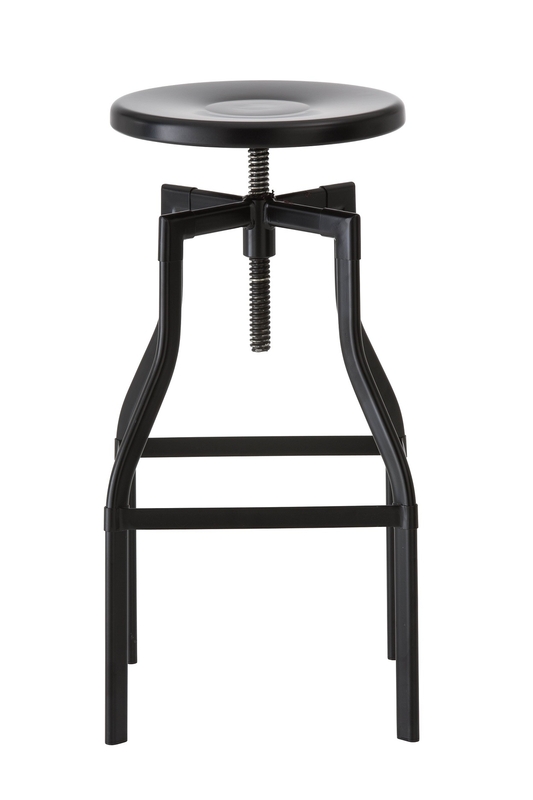 If you must have a swivel then look to a stool with a low back, a small lip or just one that has a flat surface. A perfect example would be the Turner bar stools, which are available in a wide range of colours and materials. If you are seeking some commercial stools for your bar in Sydney, then we welcome you to inspect and buy from our wide range of designs, colours and materials. There will be the ideal commercial stool for your business in our range, and we shall transport this to you overnight from our Australian based warehouse. To separate areas within the bar, you could use different colours for the bar stools in different areas. This will really make your commercial space pop with colour and will delight your patrons. If you need high bar stools or drinking bar height stools then peruse our range online, most are commercial grade and would be ideal for use in restaurants and bars around Australia. All stools are shipped from our Brisbane warehouse immediately upon order, and will be at your premises in Sydney or Melbourne within a few short days.